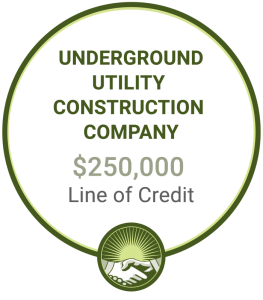 Client: 35-year old underground utility construction company based in Florida. Situation: This thriving client had landed new contracts with Fortune 500 companies. Unfortunately, the Fortune 500 companies required longer payment terms of Net 90 Days and our client needed immediate working capital to meet payroll and fund other business expenses. Solution: Grace Capital provided a $250,000 line at competitive rates. We adapted our invoice verification approach to meet the challenges of navigating large corporate procurement channels in a way that was not intrusive on their customers. Result: The client was able to take on the Fortune 500 companies as customers and have the working capital necessary to sign contracts with major developers. Plans are in the works to expand our client’s A/R line shortly to keep up with their growth.